On this episode of SPx, we say goodbye to co-host Ashley Ryneska. Ashley has been a staple since the show's inception, but she's moving on to greener (and colder) pastures in New York. For her last episode, she and Joe host her former colleague, President and CEO of the YMCA of Greater St. Petersburg, David Jezek. 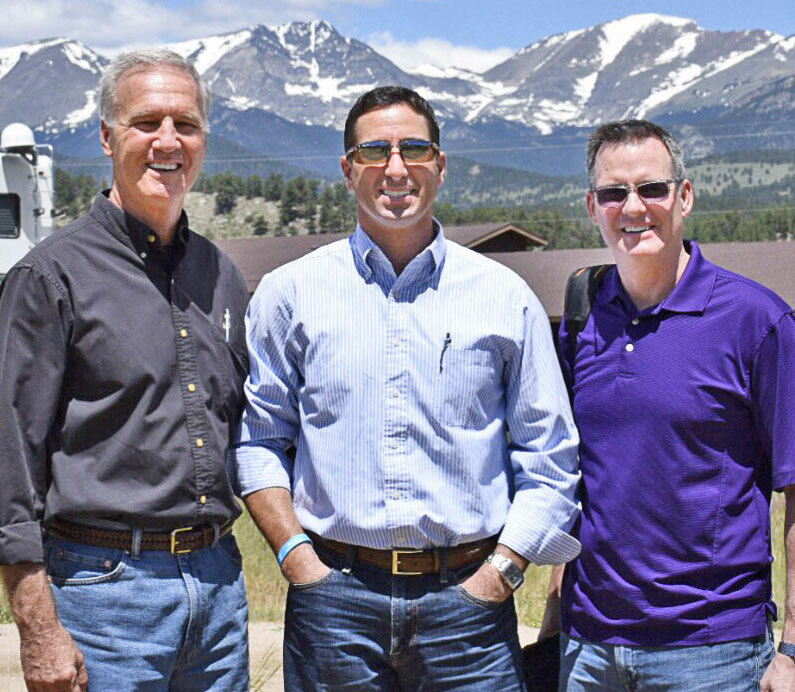 As head of one of the most impactful nonprofit organizations in the area, Jezek shares his experience as a YMCA brat, the evolution of the organization through his lifelong career, and exciting plans for its future. He shares thoughts on what sets the YMCA apart, life after retirement and the many defining moments of his career. In a fitting last episode as co-hosts, Joe and Ashley interview Ashley's boss, David Jezek, president and CEO of the St. Petersburg YMCA, who introduced them: "You have a big part to play in the creative launching of this dynamic and I’m so glad that you’re here with us today." Ashley: "For those who are listening, that means I’m at the proverbial end with the podcast table where I have been sat for at least the last 15 episodes." What sets the YMCA apart from other nonprofits? The diversity of programming for all ages, from infants to seniors, along with their business model as a social enterprise. Jezek: "We have programs that actually are profitable and we have programs that need support, continued support to maintain. If you look at our overall budget, which is close to 14 million, we have grant-funded programs, we have membership revenue, program revenue, contributed revenue." 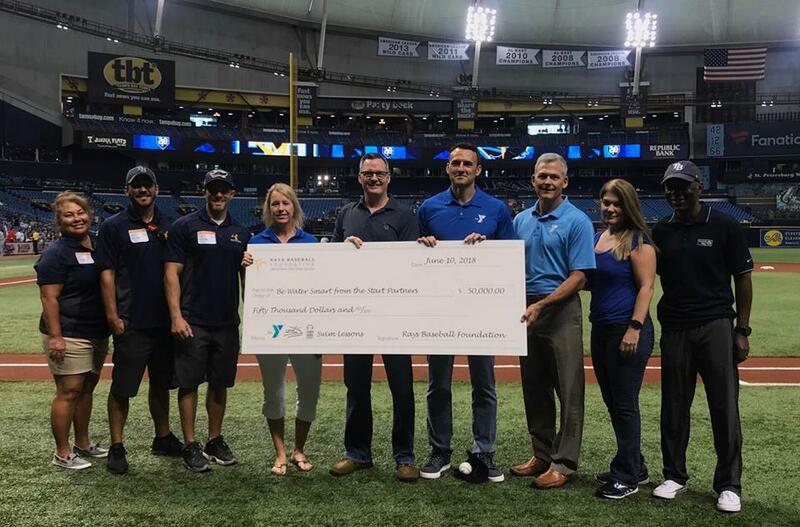 The YMCA of Greater St. Petersburg has often focused its programming in South St. Petersburg, "We've invested about 20 million in capital projects south of Central in the last 16, 17 years." Early childhood: "We have about 1,400 children, and now we have 1,700 children this fall that will be in our programs across our service area." The YMCA currently has two preschools, one on the horizon, and another to be opened in two to three years. Nomenclature of YMCA: "As of 2012, the YMCA was no longer to be publicly recognized as the YMCA so the nomenclature of the name actually changed to the Y." According to Jezek, the organization is no longer young, nor just for men since the two income household began. Instead, the focus has been on children. During the nomenclature change, the Y also reigned in programmatic and operational offerings: "Y created three broad umbrellas, essentially - youth development, healthy living and social responsibility." YMCA - What the "C" means in today's world: "We’re no longer just a Christian organization. I think we have that in our roots and certainly we live by Christian principles, and we exhibit those in the way we go about our work...Ys across the country that have big Cs, and then there are Ys that have little to no Cs; it just depends on the area." Agreement with Pinellas County Schools: "Last year we entered into a 99-year joint development agreement to build a YMCA and potentially a middle school or a school jointly on that site." While having a joint school and YMCA is not a new concept, it would be new for Pinellas: "There's elements of the YMCA that would be great for a school, and we think that it’s a great marriage and an opportunity for us to really experience something new in our community." "We believe that bringing families together from all walks of life that share some of the same challenges is important for support." "I love stories like the one for neighbor to neighbor where we help about 300 families during the Christmas time and we receive a letter from a former recipient of the program with the donation of $100. When social responsibly comes full circle, you know you’re hitting the mark." The Y is in Jezek's blood: "I grew up with the Y. I learned to swim with the Y. I caught my first fish on a camp out with my dad, obviously he worked for the Y. My dog flunked obedience school in Shawnee, Oklahoma at the Y. I got in trouble at the Y a lot. I was a Y brat, it was in my DNA." With the support of Florida State Senator Jeff Brandes and his connections, Jezek was responsible for starting a YMCA in the Cayman Islands. Jezek functions as the chief volunteer officer for the Florida State Alliance of the YMCA. "We can come together and sometimes leverage that strength so you know if you're making an impact of the million children during the summer for swim safety that gets the attention of a lot of larger foundations and companies to get behind because of the collective impact." Jim Collins' Hedgehog concept: "What are you passionate about? What gets you up every morning, excited to go to work? What are you best at? What sets you apart from the field? And then, what is your economic engine?" "I've taken the liberty to add a fourth leg to that three-legged stool and that is quality of life, "I love what I do; I feel like I've been successful. The Y has been really good to my family and I believe that I live one of the greatest cities in the United States." Fundraising: "I used to be really nervous about asking somebody for money and now just say let me at them, I'm anxious. And we’ve got No's, what’s the worst thing that could happen? They say, 'No.'" Board leadership: "I often say that it's easy to give your time and your talents, but when you give a sacrificial gift, or you give a significant gift that's very telling." "We've done the demographic study and on race, age, income, education - it mirrors the community. In fact, I call it the microcosm of St. Pete." "What the Y does uniquely is bringing people together from all walks of life. There's no other social service organization that does that. We believe that's the magic sauce." Joe: Welcome David Jezek, president and CEO of the St. Petersburg YMCA, I think I actually mentioned that. Helped the gentleman, named Dean Logan who had a show called, “Job Talk” and he had you on as a guest, David. Ashley: When was this? 2016, maybe? Joe: Oh, I thought you said not to work with us. (laughs) I’m okay with the podcast. David: I wasn’t listening to her at the time. Now, I listen to her a lot more. Ashley: No, I think you listened, but then, we sort of talked about it and came around to the idea that it might be good for him to do. Joe: Yeah. Long story short, you did the podcast. I’m sure that was fantastic, and then afterwards, I started talking to you about marketing and you sort of nodded, nodded, and played along. And then at the end, you just kind of gave me a wry smile and said, “I challenge you to meet my killer…” I don’t know what it is. That’s Ashley. Sure enough, I set up a meeting and was as impressed as the challenge that you laid down. Two years later, here we are, still have her at the kids table though. Ashley: But, I will tell you, David, that when you introduced us, some of the conversations that were initiated from the first meeting, really served as a platform for: Could we have these types of conversations with prospective leaders and individuals in our community about what we’re talking about, sort of, behind closed doors? You have a big part to play in the creative launching of this dynamic and I’m so glad that you’re here with us today. David: Thank you, I appreciate that. Ashley: I’m going to be a little biased. I’ve been working with David for six years and it’s been an absolute, I mean, in my first foray into the nonprofit space, I considered myself very privileged for that opportunity. But with that, you mentioned the work that we’ve done over the last several years together you been with the Y for 10 years now, but over 35 years in the movement, illuminate our listeners, if you could, to, as a sort of a business model, what sets the Y apart from other nonprofits that they’re involved with locally and nationally? David: Well YMCA, it’s an amazing organization that, if you’ve ever been to the Cheesecake Factory and you look at their menu, it’s like an inch thick and it’s got just about everything you can imagine. The Y’s menu program’s like that, in terms of diversity and programs for infants all the way through our senior programming. But we also have an approach business model that’s unique, I caught somewhat the Social Enterprise. We have programs that actually are profitable and we have programs that need support, continued support to maintain. If you look at our overall budget, which is close to 14 million, we have grant-funded programs, we have membership revenue, program revenue, contributed revenue. We have earned revenue as a mix and a lot of social nonprofits don’t have that, they’re relying solely on government grants or contributed revenue. So, for us it’s kind of a special sauce, so to speak, in terms of how we operate and were able to be successful in that regard. Not completely dependent on anyone funding stream. We’ve had things that go away and disappear and we’re able to maneuver through that pretty successfully. Joe: What’s the process when you start to plan programming for the… or consider adding new programs, how much does profitability play in that discussion or what sort of the seed for new directions? David: Ashley should know this answer, as well, because she’s part of our leadership on strategy, and we have what we refer to as a strategy filter. It’s a series of questions that we ask ourselves first off, “Does it fit our mission? Is it sustainable from a financial perspective? Does it serve our community in the way that we would have it?” And so there’s a you know series of questions that we ask. It’s not like you have to get a yes on all of them; clearly, we’ve initiated projects in areas where most people wouldn’t go in terms of a financial investment of time, and our association has a record of doing that, particularly in South St. Pete with a number of our resource centers and recently with the preschool. All three of which require heavy subsidy to maintain. We’ve invested about 20 million in capital projects south of Central in the last 16, 17 years and takes a lot to maintain those type of facilities. We’ve been a good steward of our resources and we continue to do those types of projects. Joe: I’m sure there must be a lot of connectedness between the different needs. So, as you’re assessing needs, say for example, on the south side of DC, there’s availability of food, healthy food; there’s affordable housing issues; and obviously, general fitness and activity and moving; and then after school care. How do you play with the other nonprofits in town and how do you, if you say, “We can make this work if we have this partner come in with us,” and how does that whole process unfold? David: In nature, we’re a very collaborative organization, and we realize that we can’t do alone. And so it’s important to have great relationships with our organizations that are serving in a like manner. Typically, our funders require that or encourage us to do more and more of that. In fact, a lot of our funding stipulates, “The only way you’ll receive the funding is if you collaborate.” We navigated some of those journeys along the way and had successes. David: Recently, Juvenile Welfare Board came to us with a grant-funded program, faith-based literacy program that funds about 300 students in eight area churches in South St. Pete, and of course that’s in our wheelhouse. We do that all the time. In fact, we have about 1,400 children, and now we have 1,700 children this fall that will be in our programs across our service area. So, typically we do things that we really try to focus on where our strengths are. The introduction of early childhood development came into the play, probably five years ago. It never really in 95 years of our history really ever played in that arena and with the Bardmoor, we added a preschool as a part of that, and then we purchased the former Catholic elementary school on 26th Avenue South. So now, we have two preschools, we have another one that’s on the horizon and then maybe another one in about two to three years. We look strategically at how we serve families. Joe: And you mentioned that the program through the Juvenile Welfare Board was faith-based, and obviously, YMCA stands for Young Men’s Christian Association. Since the Y was founded, the world is become decidedly more secular, both in people moving away from faith in general or I’ve seen a lot of different faiths in the mix now. So, do those discussions go when you consider that, and how you present yourself to the world? David: That’s a good question and one that oftentimes we find ourselves challenged to answer. But I would tell you that, we’re no longer a young organization. I mean, originally it was formed for young men giving them an opportunity to get off the streets in London, and we’re no longer just for men. I want to say it was probably in the late 50s and 60s, when two household incomes were really required in order for a family to survive, and women began to enter the workforce more so, and the Y’s focus worked more on afterschool programming because children need to be cared for. David: And we’re no longer just a Christian organization. I think we have that in our roots and certainly we live by Christian principles, and we exhibit those in the way we go about our work. But we have a number of programs that are probably more heavily Christian-focused. We have a neighborhood Christmas program that we been running for 28 years, and we have the Mayor’s Prayer Breakfast that’s been running, I think, now 17 years. So, that’s again bringing our faith community together to pray and come together. So, I would say that there are Ys across the country that have big Cs, and then there are Ys that have little to no Cs; it just depends on the area. Joe: Do you ever having to turndown opportunities because of potential conflicts of value? David: It’s interesting. Sometimes, our C’s not big enough for some people. Joe: Right, so it actually goes the other way sometimes. David: I’ve actually been challenged by a donor who, I believe if I had said one thing differently, they may have supported us. Ashley: I want to add really quickly, when you are talking about, sort of figuring out programmatically where you want to go. So, in 2012, probably a little bit prior to that, if you visualized YMCA in greater St. Petersburg and in 840+ similar institutions, nationally, you have Y-USA, which is sort of the parent US company based in Chicago. As of 2012, the YMCA was no longer to be publicly recognized as the YMCA so the nomenclature of the name actually changed to the Y. We sort of have continued to carry on and used YMCA in full, but over the last several years have migrated to the use of the Y and the benefit statements that support that are really strong around diversity and inclusivity. I also know that during that time, to sort of reign, if you can picture sort of what life look like for the Y prior to that time, the diversification of programming was presumably a little bit out of control in terms of sort of the smattering of offerings and how they varied from association to association. So, forget the branding think about an operational execution. So, the Y created three broad umbrellas, essentially – youth development, healthy living and social responsibility. Ashley: I think, what we did was we sort of reallocated everything we were currently doing, sort of fall under those buckets to see where there was crossover. And then, the first filter that we now process everything through is largely those areas of involvement. Joe: Cool. It’s weird having two people who know what we’re talking about. (laughs) I should just be on cruise control. I should put my feet up. Ashley: It’s good to know, though, because irrespective of the fact that this was done over five years ago, the Y brand continues to…that question that you asked about Christianity, and gender continues to be one that we’re faced with. David: Let me just say, I believe in my career with the Y, I see the Y bringing the community together like no other social enterprise. We look at the 18,000 members that we have at the Jim and Heather Gills YMCA alone, and I would tell you that we’ve done the demographic study and on race, age, income, education, it mirrors the community. In fact, I call it the microcosm of St. Pete. There’s people from all walks of life, we even have homeless people that are members of that Y. I remember, I’d been here about two years and I became friends with a development officer of another nonprofit that worked out the Y and she told me she said, “You know David, I could go to a number of places, in fact, the past three on the way to the Y, they’re more convenient, but I come to the Y because it feels like community.” And I asked her, I said, “Can I use that? Can quote you?” She said, “Absolutely not, because I’m raising some money from my…” But really, that’s unique. If you think about that mean, people come to the Y from all walks of life, but for the same purpose – to become healthier, to engage with her family and connect with their community. I think it’s just interesting to see and watch. Joe: The Foundation for Healthy Saint Petersburg have been very bold in talking about race and systemic racism and obviously the Y plays and works in a lot of the same areas which were take on that issue in Saint Petersburg. What are some of the strategies you’re using to counteract some of those issues? David: To me, it’s about walking the talk and leading by example. If you look at, even today on Facebook, I saw a group of youth together and it was a hodgepodge of people from race, and even you can look at them and tell, there are some that are probably not necessarily from financial means and you put those people together with the common cause, I think that’s where we lead. I don’t feel like we need to be waving a banner we just do it. That’s what the Y does. Ashley: You mentioned that the Y specifically, the YMCA of Greater St. Petersburg, has gone places where other organizations will not, intentionally put themselves in the line of fire to make things happen specifically in the south side over the last two decades, and as the board and you, David, look at and the next 5 to 10+ years, you have recently shifted or expanded, I should say, your focus into another part of our community. Share with our listeners a little bit about that. David: We looked at our service area, which is really Ulmerton Rd., south all the way to the water’s edge, and there’s limited places that we can go and land is not as available as it once was, and we set out and looked at a PMA study or primary market analysis of where penetration is in service. And we identified the north part of St. Petersburg and primarily the 4th Street North corridor 62nd Ave, Northeast, and we’ve located the 20 acres where Riviera Middle School used to be. I think it was torn down in 2008. So, our board said, “Let’s see what we can accomplish. Maybe there…” In visiting with Dr. Grego with school board, determined that, that land was available for a joint development project. So, last year we entered into a 99-year joint development agreement to build a YMCA and potentially a middle school or a school jointly on that site. We’re still doing a lot of behind-the-scenes work on that project and hopefully we have something to announce soon. David: It’s not a unique model where you have a YMCA and a school together Lake Nona in the Orlando area was one of the first around the country that’s been a successful model, that’s been replicated other parts the country in Atlanta, Louisville, Kentucky and other parts. But, you think about the child’s journey, academic journey, and family engagement being a part of the success. In fact, I heard Doctor Grego say in our key leader’s forum that a child’s success in school can directly relate to how their family is engaged. So, we think the synergies of what a YMCA brings to the family’s participation in that will bode well for us. And certainly, there’s elements of the YMCA that would be great for a school, and we think that it’s a great marriage and an opportunity for us to really experience something new in our community. Ashley: You’ve talked about how the neighborhoods of where the future YMCA will reside, how it mirrors the neighborhoods may be somewhat close to what you are able to accomplish with thegym in Heather Gills YMCA in the midtown area where you have a cross-section of affluent and those that are underserved. I’m wondering, do you believe that there is a sort of that fanatical fixation on only serving those that fall within a specific income threshold or quality of life and there are constituencies that may have means but that doesn’t necessarily preclude them from struggling, whether that be with safety concerns or affordable childcare or even to your earlier point, the opportunity to have family engagement because of the demands that families find themselves facing? And how are you navigating conversations to bring to the forefront them as well as those that are underserved? David: Well, we don’t discriminate participation in our program that you have to be, a financially challenged as a family, but we believe that bringing families together from all walks of life that share some of the same challenges is important for support. I also believe that we have a role and responsibility in sharing a YMCA in these local neighborhoods and being accessible, and likewise you know what we give the Cayman Islands. Joe: And certainly there are issues that are common to all people that have nothing to do with money. Ashley: If you think about a room that has sort of a program environment where you have all different ages and income levels in genders and walks of life, as you witnessed that in your history, what truisms about humanity remain? If you’re looking at them sort of in action and they’re participating in the same program together, are you able to sort of extract some common threads that you see people from all walks of life sharing? David: Well, we have the Livestrong program at the Y, a free program for anyone that survived cancer and they come to the Y to reclaim their health and that program has taken place at the Jim and Heather Gills YMCA. I remember I was at a graduation and I was asking some the staff about some of the participants and they said, “This lady here she takes the bus to the Y, she gets off the bus and walks across the street into the Y and this other individual moved his company here and he drives of 800 series Beamer.” But cancer does not discriminate against those that you know have money or not. And certainly, I believe that people come together with like goals can support one another. And again, going back to what the Y does uniquely in bringing people together from all walks of life. David: There’s no other social service organization that does that. We believe that’s the magic sauce. Ashley: Essentially, if you think about the Livestrong participants. Your example, they are striving for a sense of belonging; they all want to feel well; they all want to feel supported. Those are likely similar threads that you see through, irrespective of whether you driving and Beamer or not. I think that’s important to reflect upon, especially as you venture on the new project because this will serve a sort of a cross-section of many communities, all with similar goals for themselves and for their families. David: I remember as an Executive Director in Pontevedra that Y particularly served a very affluent community and we are meeting with the donor and we were gonna ask for $5000 contribution. My volunteer and I were about halfway through our spiel and the donor stopped us and said, “Alright, I wanna give you $15,000 and this is what I want you do with it – our teens in our community have access to cars, phones, money and their struggling, their struggling to make correct decisions, I need some type of afterschool activity. Here’s an example of what those families are dealing with and it’s important that we address it. We can’t turn our back on that.” Of course, we probably took his donation and we put it to good work and we had a very successful afterschool team program that addressed a lot of the issues that our families were facing with their teens that have a lot of time and a lot of the resources to do things that maybe weren’t productive. Ashley: I have them sort of a gut check question. If I were to ask you right now or the past year or two, a moment that stood out to you that felt like sort of… What’s the word I’m looking for? But it stands out in terms of feeling a tremendous amount of pride or connection to why you started to do this in the first place, what’s the first memory that comes to mind? David: That’s a tough one, there’s a lot of prideful moments at the Y. I call them another proud moment, a lot of times with just looking at what we do on social media. David: We tell our story a lot through photos, and just even the programs that we embark on. I love stories like the one for neighbor to neighbor where we help about 300 families during the Christmas time and we receive a letter from a former recipient of the program with the donation of $100. When social responsibly comes full circle, you know you’re hitting the mark. Everyone needs a helping hand every once in a while, but when you make such impact on a family and then they find themselves in a position to help another family, and they pick you, you really can’t put that on any kind of metrics. It’s a good feeling in your heart that you’re doing the right thing. Joe: 35 years with the Y now. David: Actually, more than. I grew up with the Y. I learned to swim with the Y. I caught my first fish on a camp out with my dad, obviously he worked for the Y. My dog flunked obedience school in Shawnee, Oklahoma at the Y. I got in trouble at the Y a lot. I was a Y brat, it was in my DNA. In fact I share a number stories today, we had about 15 staff of the new employee orientation. I always share the same story with every group of new employees about visiting a Y 15 year after I left and walking in the lobby, and a tall young man approached me. He reached out his hand. I looked up at him. He looked down at me and he says, “I remember you, he said, “You taught me how to swim.” At the time that, that happened, I wasn’t really mature enough or didn’t really appreciate as much as I do now. As you get, older you start reflecting back on the influences in your life; people who made an impact or mark on you. I used to teach swim lessons, and you have six or eight kids in your swim class for two weeks, Monday through Friday for 45 minutes. It was all about technique and get them to the other end of the pool safely, right? You never really expected that you would give someone self-confidence, self-esteem, and then for them to come back 15 years later, and recognize you and thank you for it, it’s pretty special. Joe: I don’t want to cause any controversy, but did you disclose that dog failed the course when you were applying for CEO? David: It was actually my brother’s dog. Joe: I’ve heard that one before. Now that you’re at the top of the pyramid, how do you get your connection with the members and the employees? How do you do that? David: Well, I connect weekly with our entire staff. Ashley knows this because she helps me with my Monday morning minute my two-minute Tuesday or what’s up Wednesday – a quick email out to everyone and is supporting their work and know that they are really carrying the lion’s share of our success. So, I think it’s important that we recognize our employees and we do that. We do a great job of recognizing their tenure. We have star card awards. We’re all about celebrating successes and recognize, too, that we can make more impact going together. You can run faster, you get somewhere fast be go alone. But if you go with the group it’s slower but you make more impact long-term. We have a lot of committee meetings and we have an issue we bring a group together, and we brainstorm and the collective thought process we come out with a lot better product. Joe: Well, the question is really going asked was if not the Y, but it sounds like the Y is so deeply in your DNA. I’m gonna change the question and say, you are close to retirement, what are you going to do when you retire that you haven’t been able to do that you spent all those years with the Y.
David: I’m mentoring a young man right now, he’s 19, he’s not quite completed his high school diploma, and is taking a lot of effort on my part. I’m getting a lot of help from people and advice. Clearly, I think mentoring is a great way to make a tremendous impact on a child and give them an opportunity to be successful and a contributing member to community, our community. I probably would do some of that because it’s special. You get to know someone and it’s amazing. I took him to breakfast and he had never had a blueberry, and as simple as that may sound, you just never know what types of things you can expose someone to and what impact that might have on the life. Not the blueberries are going to make a difference for him but is an eye-opener for me that we often take for granted what we have, and just simply sharing a blueberry can really open someone’s mind to the possibilities. Joe: That’s you moving outside of the normal Y frame of support as you see the community and you know what areas you can serve, and you’re doing a little more than that personally, what are some of the biggest gaps in St. Petersburg that need attention? David: There’s a lot of divisive talk and rhetoric out there, I believe, that’s wasteful energy. I try not to get caught up in it; it’s hard. There’s times that I want to post something on Facebook and I’ll count to 10 walk away. Probably a lot of people need that advice right now. If you look at my Facebook posts and social media posts, it’s positive stuff. I think that we need to focus on the glass being half full not half empty. I think that’s important for our community to come together in and talk about what we’ve accomplished and celebrate those successes and build off of that. Joe: One of the thing you’ve done, which is actually expanding the footprint of the Ys, you have a little international experience under your belt. Joe: A nice little island that I have not been invited to yet but go ahead. David: Well, we open invitation. So, in early 2011, I was in Tallahassee meeting with Representative Jeff Brandes, and I’ve told this story a number of times, and I’ve shared it with him, too. I was about halfway through my advocacy on some type of thing that we wanted and he stopped me in midsentence and said, “You know what we really need is a YMCA in the Cayman Islands.” I had two choices that that moment in time I could be mad that he wasn’t listening or I could say, “Hey, sign me up for that.” Well, I took the latter, right? Fast forward, I’ve found out that his father had a similar idea and weeks later, I was on the phone with the Pastor Randy Von Kanel that was a Baptist minister from Mississippi forming a second church on the island that also, too, wanted to start a YMCA. Of course, there’s no roadmap for that. It’s not like they’re forming a Y in the United States. We start out planning – what’s the steps that we needed to do and forming volunteer steering committee. David: Obviously, going over a meeting with the ministers and various leaders in the community about the formation of the Y and starting a board, and helping them hire their first CEO, and beginning to get contracts to run and manage programs. Today, they have over 100 employees. They impact about 30% of the youth on all three islands. They are in the midst of doing a capital campaign. They recently built a climbing tower, which I was there just this last month and got to climb the tower. They are on fire. As a nonprofit, became the 119th movement for the YMCA around the world. We were there when they got their charter and is pretty exciting. So, Y-USA is one of the 119 movements around the world. The Cayman Islands was the last official chartered Y, and they receive that I believe is in 2014. I’m really proud of that accomplishment for our team. We’ve set staff over, they do an international training of all the Latin and Caribbean alliance of Ys come together, giving staff now an opportunity to go over and engage international work. The Y, it’s a special organization, and to share that with another country and to see the impact it’s making, it’s pretty special. Joe: I’m gonna throw that out there as a retirement suggestion. There’s a lot of islands out there that need YMCAs. David: Really, to be honest with you, I’m not one to lounge on the beach. My dermatologist would probably not like that. Joe: So, one in Iceland or no? David: No, well, we could see. David: Our marketing, Ashley and her team. We work with them on marketing we’re helping them with was some of their development issues and operational issues as well. And HR, our last director of human resources went over there for about, I think she was there about six weeks, to help hire almost 100 employees when they got their grant to fund an afterschool program. Ashley: Within the past year, you have assumed the role of chief volunteer officer for the Florida State Alliance of the YMCA. Ashley: So, talk to us about what that means. So, your purview just went from little – big, little old St. Pete to the full state. David: Right, so across the country, there are state alliances of YMCAs formed kind of organically by associations within those states, and some who’ve advance further with hiring a CEO, and Florida is one of probably two or three alliances across the country that are touted as doing the right work or at least elevated at that level of sophistication. So, we have a CEO and we have a Board of Directors and I came on as chair of our board this past year. There are 19 Y associations in the state of Florida and we advocate on behalf of our program constituents, and we have grant funded programs that are run throughout the state. It’s great opportunity for Y’s to come together across the state to make collective impact and I’m enjoying it. It’s a lot of work. David: Well, just navigating. We’re still, even though we’re years and years into our formation, there’s still some governance issues that we’re trying to work out. And then, Y-USA has recently announced a change in their service delivery. So, right now, I’m deep in conversations with CEOs across the state of Florida about what that means for the alliance. So, there’s a meeting in Chicago on Monday and I’ll be attending that along with other state alliance chairs across the country to learn more about what’s on the horizon for us. But it may change a lot, not only for our movement, but for our alliance work. David: We pay dues into our national organization for resources and they’re diverting some of that funds toward the alliance work, which may create opportunities for us to you know enhance what we currently do as a collective. But still a lot of unanswered questions as to how much money and what role definitions will happen regarding positions. Joe: Feels like counteracting forces there. So, if they’re doing less marketing, you have to do more individual marketing. But they’re doing more alliance building. It feels like a push-pull where it’s bringing more people together in one way, but then, making them do things more individually. David: What Y-USA would tell you right now is their goal is to leave some of that in control of the local Ys and then we can play a deeper role in shaping what that looks like. Y-USA will continue to provide resources in a variety different ways. So they’re divvying up part of what is required of Y’s in terms of help, and we have different sizes – small, midsize and large Y’s in our state across the country. So, it just depends on what each Y’s needs are at the time. Joe: And then, what would be the major goals for the alliance building effort? David: Obviously were stronger together. We know that we have a brand as Ashley described earlier, we’re now aligned even more in terms of our brand speak. And we understand that we can come together and sometimes leverage that strength so you know if you’re making an impact of the million children during the summer for swim safety that gets the attention of a lot of larger foundations and companies to get behind because of the collective impact. Joe: So, we were talking earlier before we started about Jim Collins and Good to Great, and you’d started say something about the hedgehog concept and how you personalize it, can you finish that? David: Yeah, I… Of course, the hedgehog concept in Collins’s book is about: What are you passionate about? What gets you up every morning, excited to go to work? What are you best at? What sets you apart from the field? And then, what is your economic engine? On a personal note, what gives you the quality of life, the standard of living that you want for your family? Not everyone’s gonna be a millionaire but you to be able to support your family and do the things you want to do in life. I’ve taken the liberty to add a fourth leg to that three-legged stool and that is quality of life. David: You can be passionate; you can be best; and you could make a lot of money but you might not a really enjoy where you live. I’ve got all four of those going for me. I love what I do; I feel like I’ve been successful. The Y has been really good to my family and I believe that I live one of the greatest cities in the United States. David: I mean, take a look. I was excited when I moved here in 2008 when there was two restaurants on Beach Drive. I remember walking on the sidewalk in Vinoy Park, it was narrow and now it’s wide, and people are just engaged in our parks and our city with our museums, such the diversity of opportunities. You’d have to be buried in the sand somewhere not to have something that you could connect with and feel good about connecting with in our city. Joe: This no doubt we’ve gone through a big renaissance and I’m really curious as to what comes next. I think we’ve hit on a lot of areas like you said, the museums are great. I think are our infrastructure is great, next has to come companies and the good jobs, and certainly normalizing of the equities that everybody can participate. What are the things we needed to deliver to be a next year city? You have any thoughts on the that? David: Well, I think we always talk about a living wage. I think that it’s sometimes difficult. I know people that make very minimal amount of money but live pretty well. So, part of that is just educating individuals about how to budget and how to live within their means, you know, I would tell you in my journey of life. I’ve made some mistakes and clearly as you get older you get a little wiser about that. I think it’s jobs that create opportunities, places to live. I mentioned earlier, I am mentoring a young man, I’ve now got a finding of a place to live. He makes eight dollars an hour. What’s acceptable for him to live in $600 a month, $800 month? You do the math. You’re making eight dollars an hour, you can barely afford rent. Joe: About $1,000 a month after tax. David: Yeah, I would say that we’ve gotta find affordable housing. We need to give our youth an opportunity to be a part of the city, and but also on the other side of the equation, I understand what business does and what development does in providing opportunities for our city as well. So, I think it yet have a happy balance of all that. Ashley: David, you talked about an earlier career in aquatics and sort of moving through the ranks of the Y, and knowing your current position, you’ve been catapulted into the role of probably primary major gift officer for the Association Not a fundraiser by trade, but a quick learner click study at that, what has been sort of the most prominent or biggest lesson you’ve learned about the art of fundraising? Ashley: Do you go back? David: People just lined up to support us. I look at our organization and we lead from a position of strength; we’re not raising money to pay the utility bills, we’re embarking on new enterprises. We got another one that’s on the horizon in Lealman for a preschool that we hope to be announcing soon. You go in and you have a project of that size and that nature, and we purchased it for $300,000 and we put 2.7 million into it. I remember talking to some of the donors and said, “Listen, you may not ever realize the impact you make because when these children, they change their projection in their academic journey at such early age, I learned so much about the importance of getting to children sooner rather than later. It’s a great investment, but it may take 20 or 30 years for you really to see the fruit of your investment.” And that’s sometimes difficult for people to understand but very passionate about that project and proud of what we’ve been able to accomplish there in such a short period time. We have a waiting list for the school, and we have a the number of teachers that have been with us for long tenure of time and even that we adopted from the school that was there prior. But a great project and one that just will always be special for me. Joe: One of the things that goes hand-in-hand with development is working with the board, and I have a bit of a fascination with boards – just how to build the perfect board. I’m on a few and they can be wonderful; they could be torturous. So, imagine you’re not working for the YMCA so we can take the current board off. This does not applied to them, then you started a new nonprofit were the first few key elements that you’re saying when we build our board, this is important? David: I think, first off, there has to be a connection to the mission. They have to do be fully committed and passionate about what it is that you’re embarking on and willing to get behind it. Not only give up their time, talents, but their treasures. I often say that it’s easy to give your time and your talents, but when you give a sacrificial gift, or you give a significant gift that’s very telling. David: I think that’s an important part of service to a board and nonprofit. In fact, that’s a requirement. We have 100% participation of our board. We pride ourselves on transparency and our governance structure. In fact, brag just little bit about the fact that we’re one of three nonprofits in St. Pete that can tell multi years of the highest ratings from GuideStar and Charity Navigator, something that we don’t take for granted and we work hard to ensure that. Not only is that we have a fully functioning board, but we’re operating at the highest level. And that’s not us, telling us that we’re good. Those are two different independent groups that look at your books and tell you, “You guys got it.” Ashley knows this, we work really hard and you see that a lot on our materials because we want our donors to know that. And our board has a sense of pride in that, too. And I challenge every board of a nonprofit to look into Charity Navigator and GuideStar and see how they can become a four-star charity. Joe: Just like the Y’s board. David: I guess a lot of it depends on what the purpose of the organization is, but I think financial oversight is critical in having people with that skill set is important, and certainly we have a committee or I should say, I would have a business development committee that helps with taking a look at opportunities that come to the organization and then doing the due diligence in ensuring that we have people that are savvy, whether it’s construction or navigating the city or government bureaucracy. David: It’s always good to have an attorney, someone that will look over your documents and things in that nature. Diversity and skill set diversity, in general, for the board is important. Joe: What about leadership within the board? Obviously, you representing the institution officially, but then there’s obviously personal relations that happen between the board members? David: Right, well I would ensure that every board member understands that part of their role and responsibilities is to advocate on behalf of the organization that they represent, and that they recognize that they have to be engaged maybe a 10-point commitment that keeps it simple, not a job description that’s four pages long, and no one reads, but clearly specifying attendance, being present. 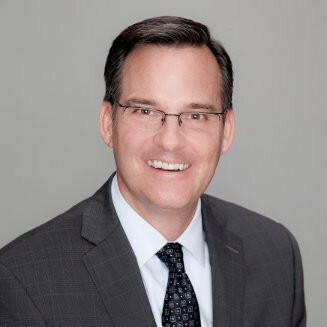 Serving on a committee, boards often get in trouble because they don’t have a pipeline of leaders to chair the board, and that’s a challenge for a lot of organizations that, it gets down to, “Well, you’ve not done it, why don’t do it?” Rather than picking strategically who needs to be in that role for what period of time in your organization’s life. Having a board governance committee that’s looking at the makeup of the board, and the skill sets needed is critical. Joe: How about term limits? David: Interesting. When I first arrived here at our first board governance committee, newly CEO hired, I asked the question, “Why don’t we have board term limits?” I quickly learned that was probably not the best question to ask if your first meeting. Maybe should find a little more history about Y. We’ve been in a lot of conversations about that and I go back to that level of commitment and list of commitment. If a board member is doing everything you’re asking them to do and they have that legacy of support, they’re a very valuable asset to the organization and turning a board over every 9, 12 years completely could create some challenges for an organization. I often laugh, those are my bosses, right? As the CEO of the organization, I report to the board. It’s a lot easier if it’s the same group. David: If I have a new group after proving myself to every three years you gotta… It’s an interesting dynamic. Both I’m waffle on that whether you should have term limits, I know some of the best practices talk about it’s important to have you term limits. You can have three three-year terms. So, after nine years, you have to be off for a year and you come back on. Joe: Seems kind of arbitrary. David: Yeah, I mean, we have people naturally drop off. It’s rare for us. We actually have people that want to serve on our board. I think that you we’re just very selective and we take our time, and just because we have a seat open that necessarily mean you need to fill it. Joe: No kidding aside, it’s nice when your ideal theoretical board is so closely matching. You can actually use examples from your current board, that’s not a bad position to be in. So, really enjoyed this conversation, and at the end of every show we do a shout out and that’s a given appreciation to someone you think who deserves it. David: Well, it’s obvious, Ashley Ryneska. I remember she interviewed, one of the assignments was they had to do a PowerPoint presentation on themselves and sell themselves and it was a unanimous decision after she did this PowerPoint presentation that she was the one, and we never look back. I mean, we’ve elevated her responsibility at the Y being a part of all of our successes from the opening of Barb Maurer to the Spear Preschool Academy to the YMCA in the Cayman Islands, and just our social media platform and going through the brand revitalization through Y-USA, two Telly awards for video production. I just can’t say enough about her leadership and what she’s meant to our organization. She will be missed but never forgotten. She’s left a tremendous mark. Ashley: That’s so special. Thank you for saying that. Joe: And we’ll make sure you include that PowerPoint presentation on the show notes page. Ashley: That will never actually be resurrected as long as we shall speak. David: I’m gonna to try to find it. Ashley: I think it was an integration of video snippets, animation, and still shots. I think I needed to excuse myself from the room when it was playing because I was so mortified. David: I would also add just one more comment about Ashley. She’s gotten the attention, too of other Ys across the country, and our national office has applauded a lot of the stuff that she’s produced. I always thought that she was going to get stolen from us from another big Y somewhere in the big city. Just a lot of proud moments, accomplishments. Thank you, Ashley, for your service to our Y. You’ll be missed. Ashley: That is very sweet.